† tsucchi †: ポケモンごはん!! Pokémon Cooking!! Unanother uncommon book at the local bookstore, published in 2009. 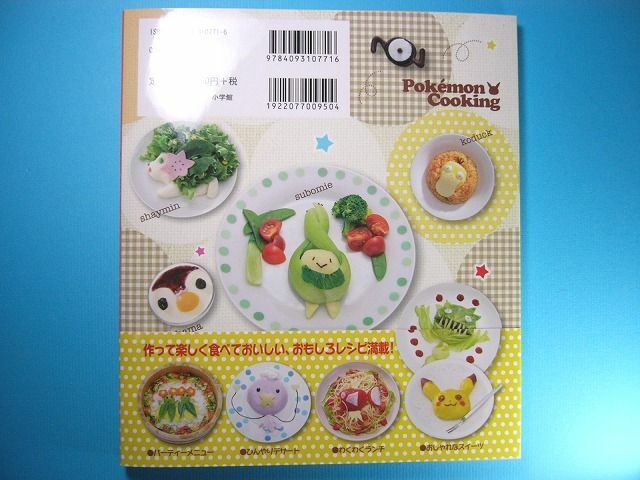 It contains not only bento arrangements, but also actual recipes of appetisers, omurice, pasta and desserts, 38 types in all and featuring Pokémon from the Diamond and Pearl series. 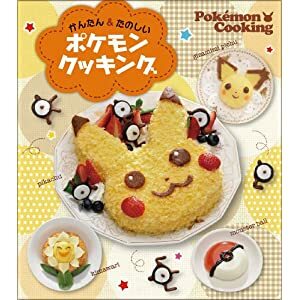 Learn to make Pikachu castella cake with Unknown cookies (mini oreo cookies + chocolate), Pokéball and Piplup (fruit and yogurt flavoured) jellies, Shaymin and Budew salads, Psyduck chicken/ketchup rice, Magikarp pasta and so many more delicious and cute things!! 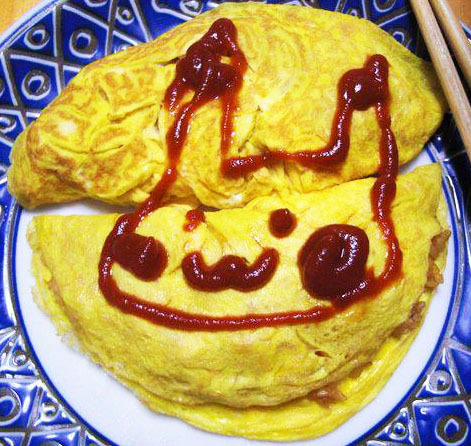 I'll end with my rendition of Pikachu-spread-over-two-servings-of-Omurice (chicken/ketchup rice covered with omelette), done waaaay before I discovered the Pokémon Cooking book.